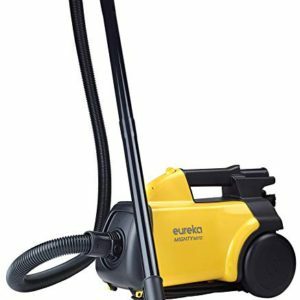 The Eureka 3670G Mighty Mite canister vacuum is a sleek new compact canister that makes bare floor cleaning easy. 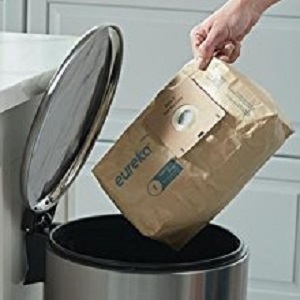 This lightweight canister vacuum weighs less than 9 pounds and gives its customers value for money. 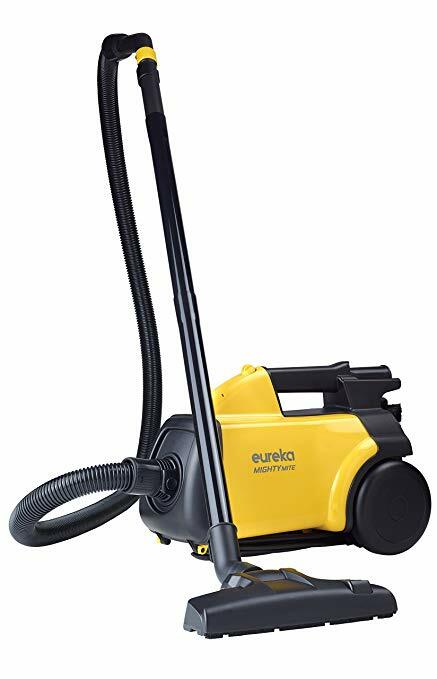 While it does well on carpets or rugs, it is ideal for vacuuming bare floors, wood floors and tiles. 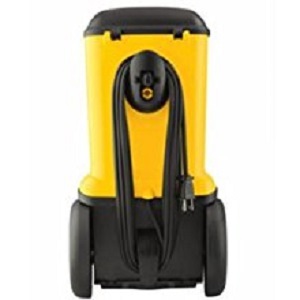 This small canister vacuum is extremely easy to carry and is appreciated for its maneuverability. The extra long cord can reach up to 20 feet without unplugging. 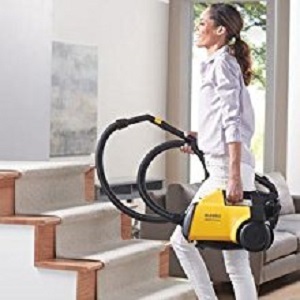 It’s long enough to clean an entire room, long hallway or set of stairs. 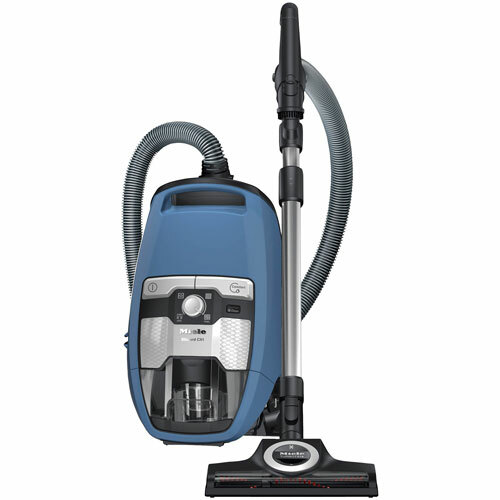 Weighing only 9 pounds, this vacuum can be easily taken around the house. 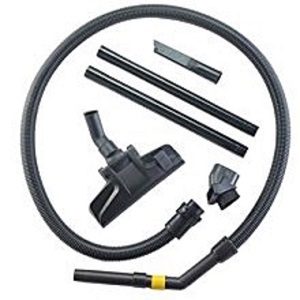 The blower port blows away dust and debris from covered porches, garages or other outdoor spaces. 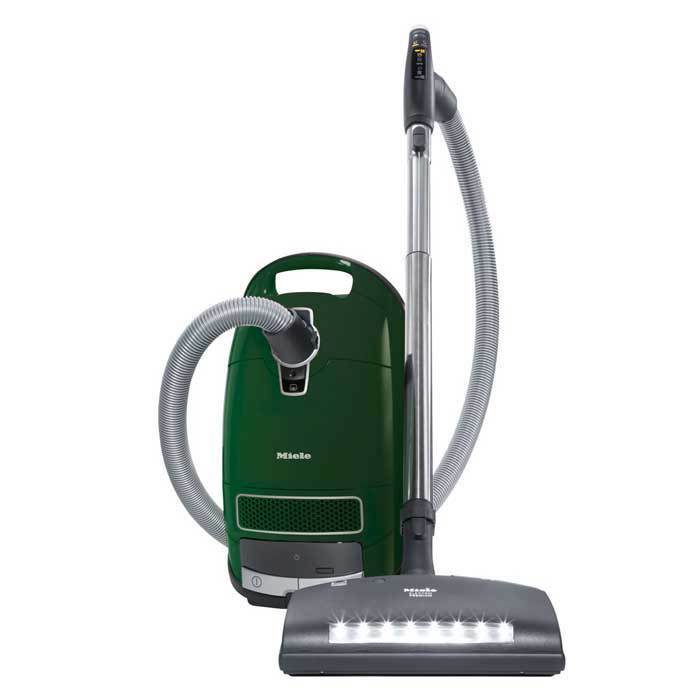 It combines the functionality of an upright with roller brushes with fingertip controls and easy maneuverability. 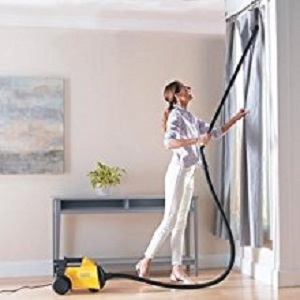 Whether cleaning up after the family pet or getting dust from the corner of the ceiling, can tackle almost any surface. 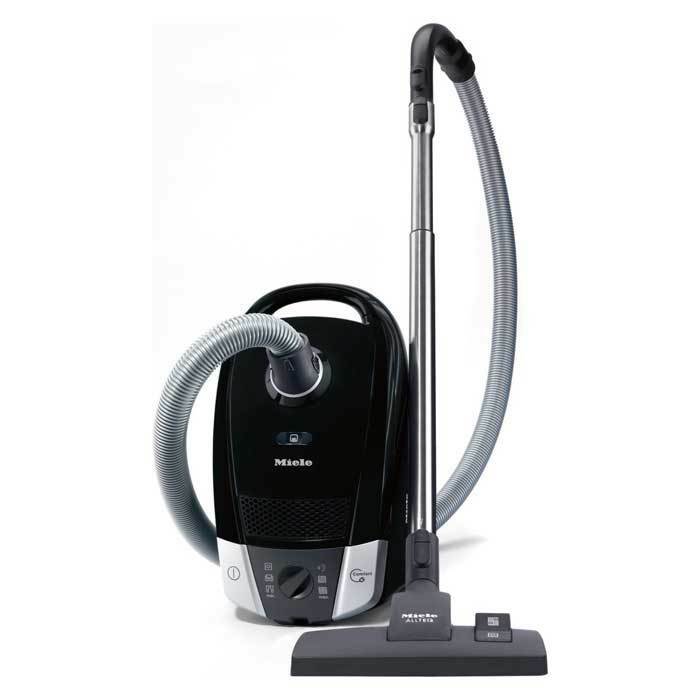 Eliminates pet odors and captures allergy-causing pet dander. 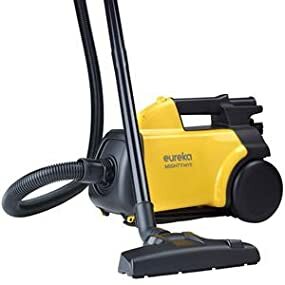 Easy to empty the dust. Easy to stores the cord to prevent tangles. 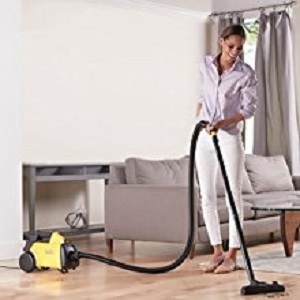 With 2 extension wands and 2 specialty attachments, this vacuum can easily dust furniture, reach high ceilings, get under car seats and in crevices and corners where traditional upright vacuums can’t reach.